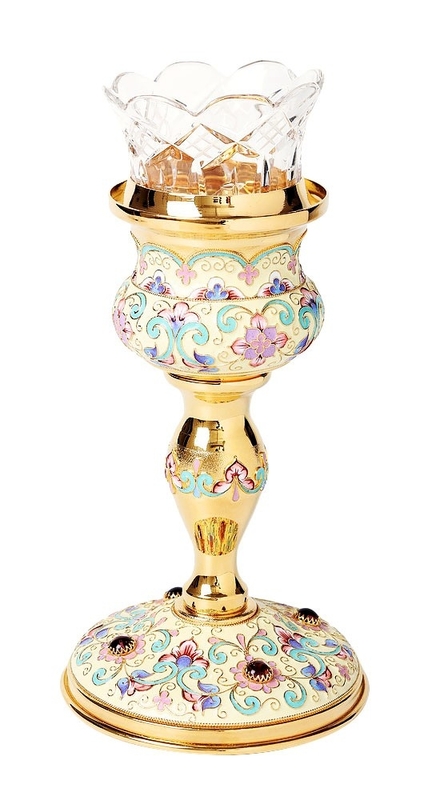 Table jewelry vigil lamp - 66 - Istok Church Supplies Corp. Excellent jewelry table vigil lamp. Brass, casting, enamel, hand-painting, glass.